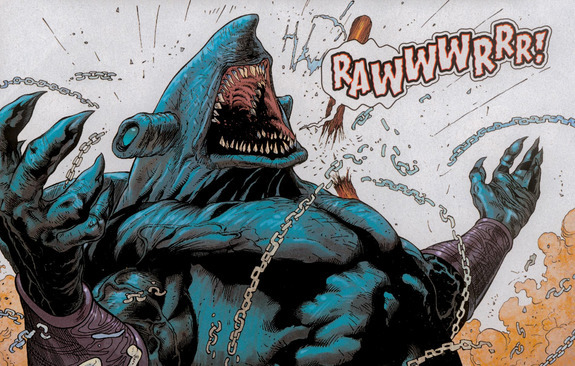 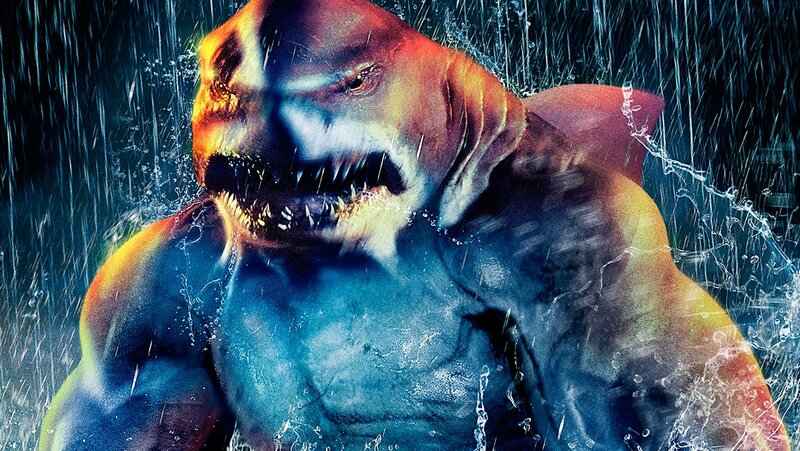 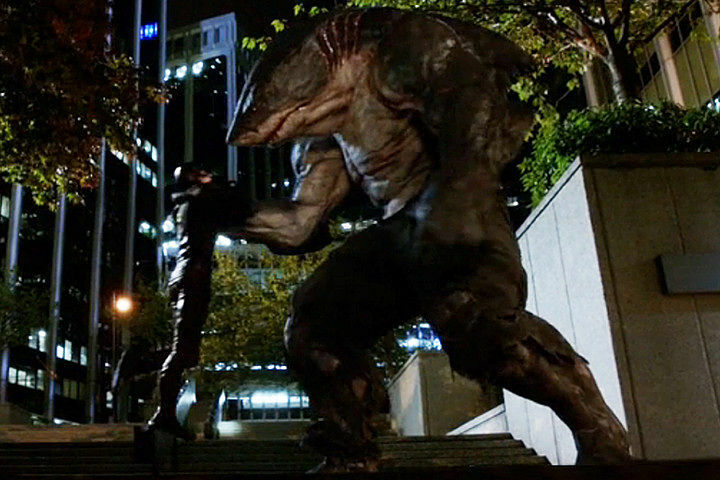 "...when 'King Shark' escapes from an 'A.R.G.U.S.' 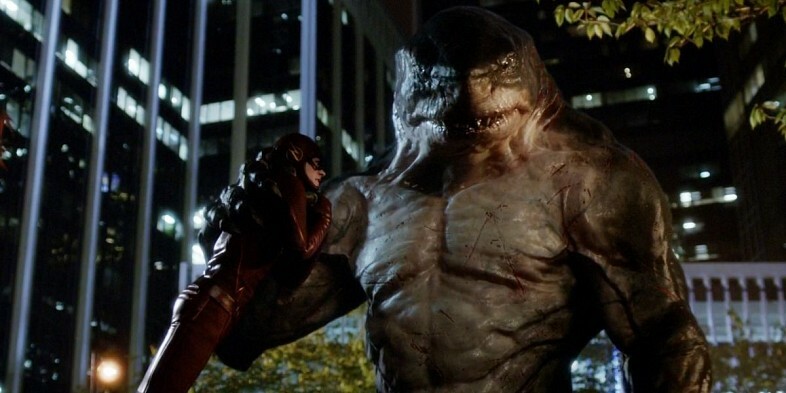 holding tank, 'Lila' (Audrey Marie Anderson) and 'Diggle' (David Ramsey) travel to 'Central City' to warn 'The Flash' (Grant Gustin). 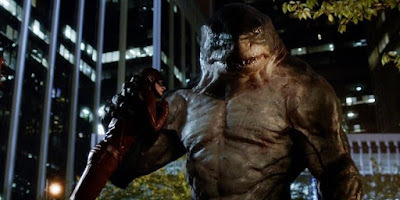 "Then King Shark shows up at the 'West' house and attacks 'Joe' (Jesse L. Martin), 'Iris' (Candice Patton), 'Wally' (Keiynan Lonsdale) and 'Barry'..."